The dealership is now in its 5th season and after trying many brands and types of weight distribution and sway control systems there are some clear leaders in the field. There are two primary parts of a weight distribution system: first the weight distribution portion which balances the weight of the trailer across all axles allowing for a more level and smooth ride. Second, is sway control which can be friction or tension based and designed to control the side to side movement of the trailer, thus reducing movement during windy or choppy air conditions. With many options to choose from, picking a weight distribution system can be a daunting task. Generally, they are package in two separate ways; first as a weight distribution hitch and separate friction based sway bar. Second; is an all in one system were the sway control is designed into the connection between the weight distribution arms and the trailer. With dozens of combinations and manufacturers of weight distribution/sway control systems it can get very confusing and frustrating to figure out what is best for you and your towing situation. The first method is generally less expensive, but the sway bar needs to be removed prior to reversing the trailer or you risk bending the unit. With dozens of combinations and manufacturers of weight distribution/sway control systems it can get very confusing and frustrating to figure out what is best for you and your towing situation. There are a wide variety of factors to consider when choosing a system; here are a few to consider. First what is the max towing and tongue weight of the vehicle being used to tow. Second, how many people and what equipment will you be taking on the trip. First, is the vehicle you are towing with; what is the construction of the vehicle? How far will you be traveling? How close is your new trailer to your maximum tongue weight? We will happily walk you through some trailers. 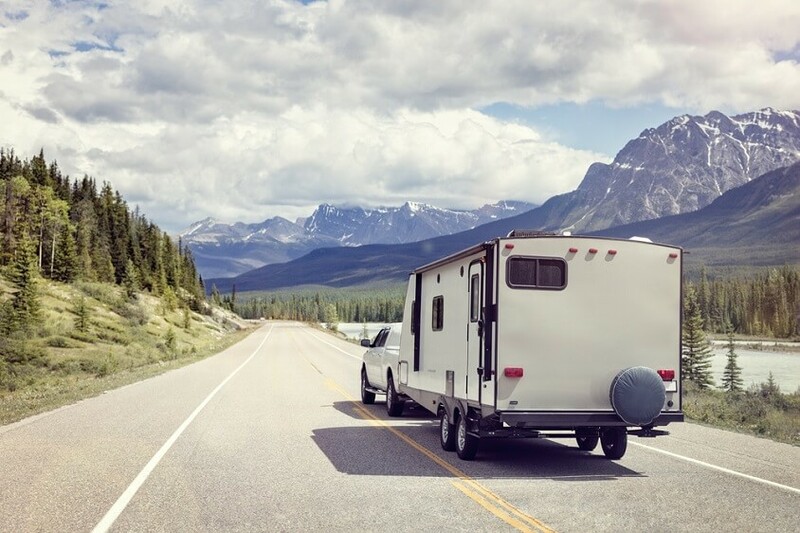 Toy Hauler trailers and 5th wheels began their existence as glorified utility trailers.